AV for You provided audio rental equipment for an event at Pinstripes in Edina, MN. 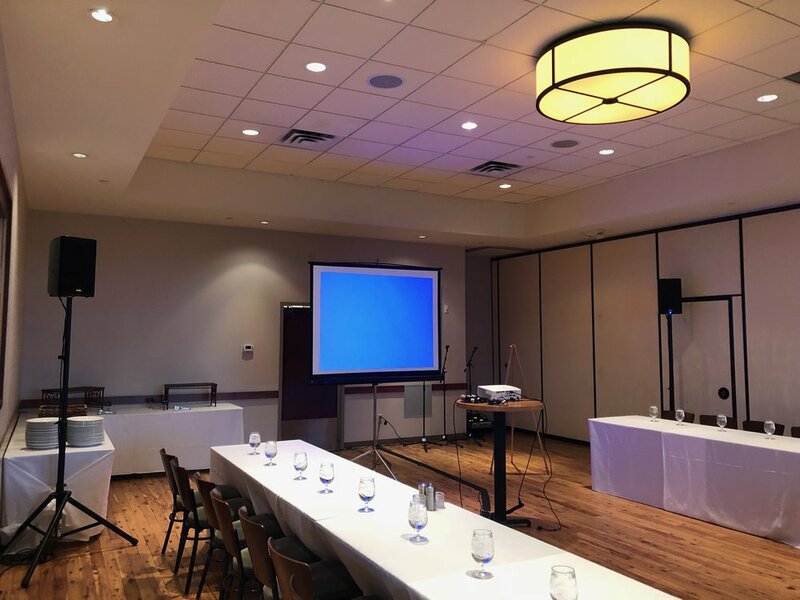 For the PA System rental equipment we set up two QSC K8 Speakers, three Shure Handheld Wireless Microphones on Mic Stands and a Shure SCM268 4 Channel Mixer. We also provided and LTI Blox for laptop audio.